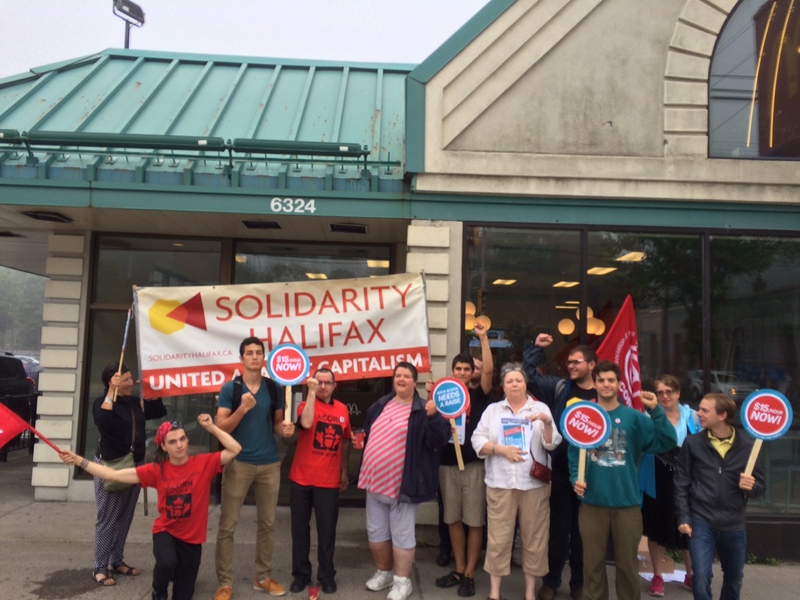 On Wednesday, students, workers, and low-income earners came together to fight for a $15 minimum wage. 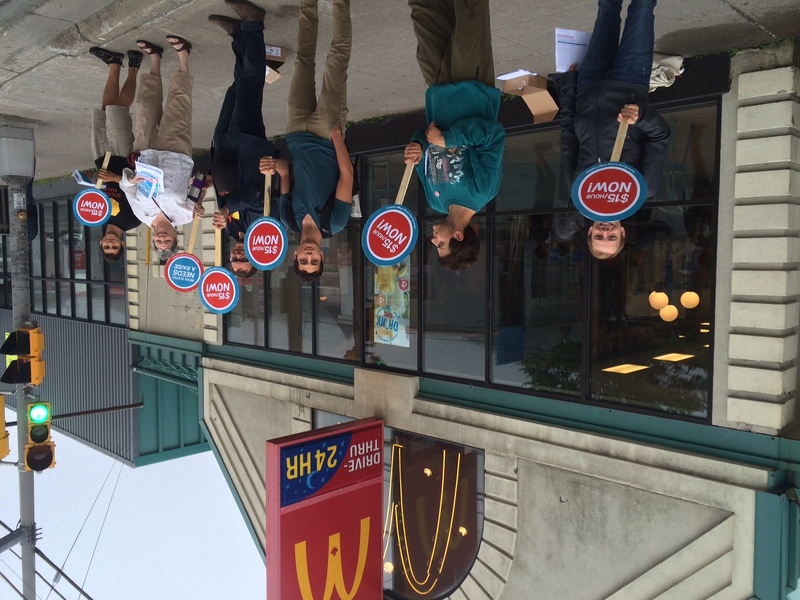 The Fair Wage Coaliton, made up of Solidarity Halifax, ACORN Nova Scotia, the Halifax-Dartmouth District Labor Council, the Canadian Federation of Students, and the Dalhousie Student Union held an information picket early Wednesday morning outside the McDonalds on Quinpool Road. 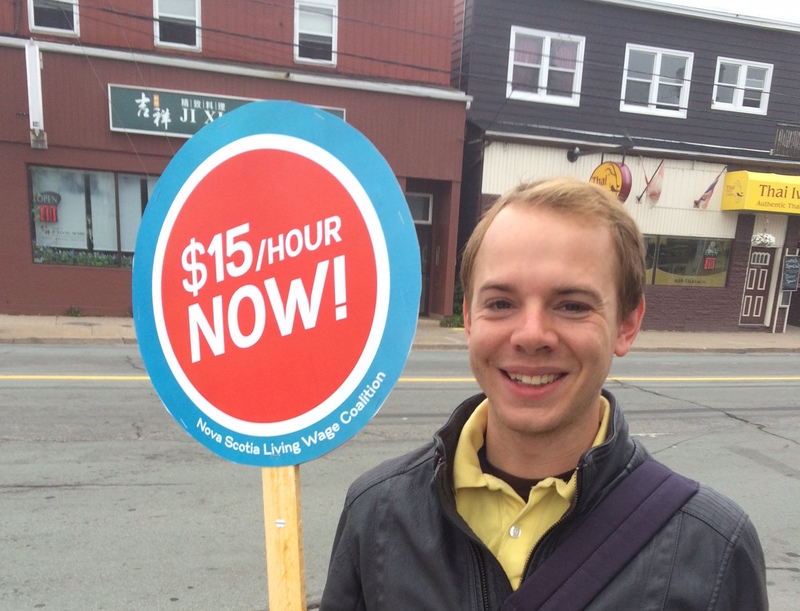 Minimum wage in Nova Scotia rose by 20 cents on April 1st but this small increase still leaves many people scrambling to make ends meet amidst rising rent prices and insurmountable student debt. Want to join the fight? 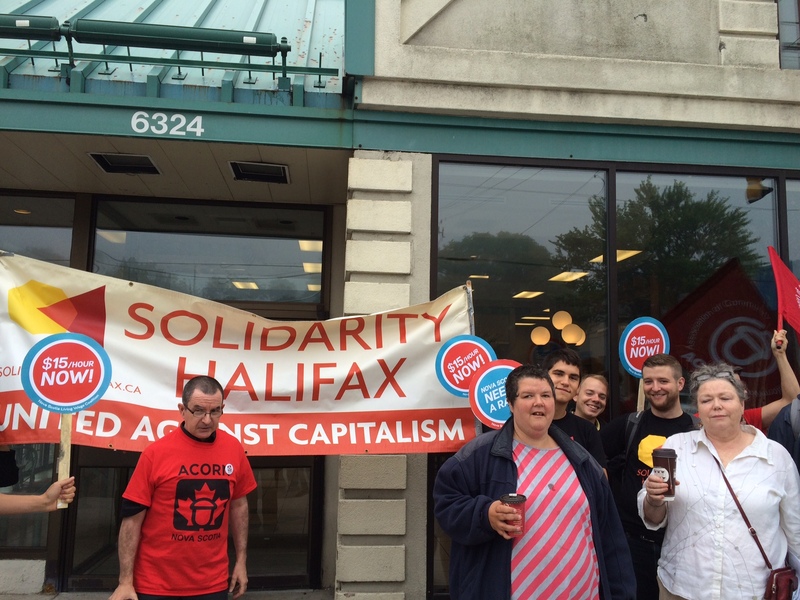 Check out the Nova Scotia Needs a Raise Facebook page or this fact sheet.